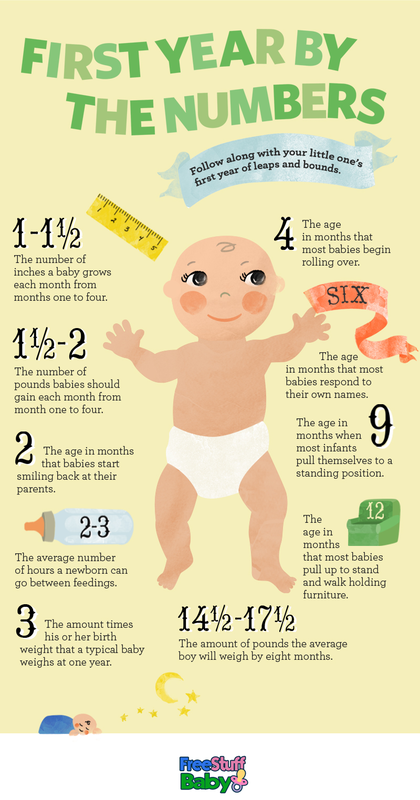 First Year By Numbers #Infographic ~ Visualistan '+g+"
1 inches per month your baby will grow for the first 12 months, first 2 months of your babies life, is when you will first see your baby smile. From the 3rd month, the baby starts putting on weight. 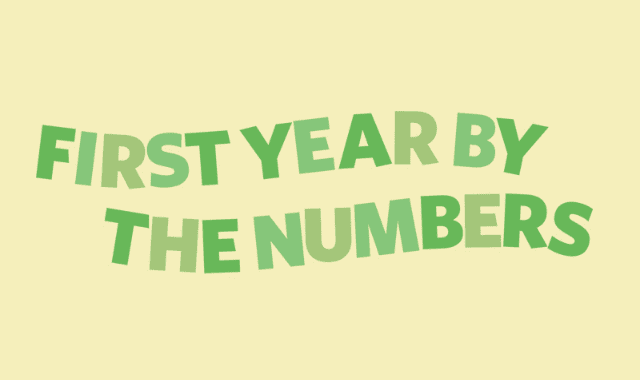 4th month is when your baby will start to roll over on its own, 6th month is when your baby starts to respond to his/her name, 9th month is when your baby can stand up on its own, 12th month is when your baby can stand on its own with the help of some furniture. We hope you like this infographic and it helps with your journey to becoming a great parent, please do also check out FreeStuffBaby as its full of great baby freebies as well free perfume samples, free makeup samples, free kids stuff, free health and beauty products and much much more. All this information will help you if you are a new parent and we hope you enjoy it.